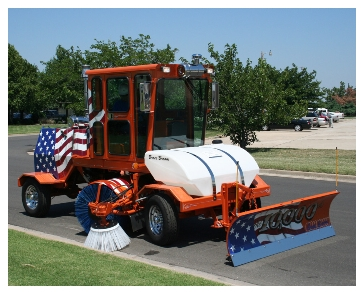 Broce Brooms offered by Kelly Tractor Co. 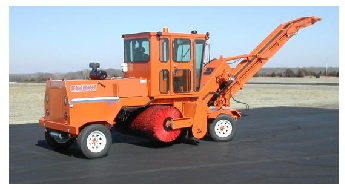 The Broce Curb Sweeper is designed to help clean in places that are tough to reach and are outside the sweeping radius of the main broom core. 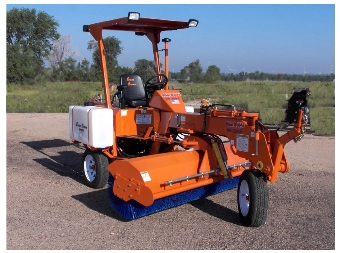 The Broce Curb Sweeper features a 27” diameter brush, heavy-duty construction, a reversible hydraulic operated float and a hydraulically operated float and down pressure for sweeping. The Model 350 Broce Broom with blade and gutter attachment working in front of a MK1 make a perfect team to complete the cleaning process. The hydraulic tow hitch on every BB-250 is now standard with no cranking making it easier to transport the machine to the job site.